Our product range includes a wide range of customized capacitors and lt shunt capacitors. 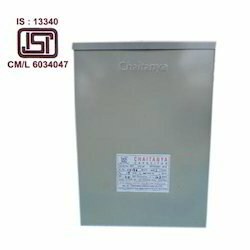 Being one of the celebrated names of the market, we are engrossed in proffering Customized Capacitors. Manufactured in accordance with the predefined industry standards, these efficient capacitors are widely popular for their consistent performance and tough construction. 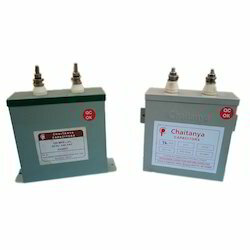 Made available in multiple specifications, these capacitors are highly sought after. LTShuntCapacitorsare manufactured, exported and supplied by us in multiple specifications to meet varied client requirements. Acknowledged in the industry for their low dissipation factor, longer functional life and high insulation resistance, these capacitors are vastly popular among our clients. These are used in motors, fans, lights and fixtures. Looking for Customized Capacitors ?